“Car Detailing” is the Art of meticulously cleaning, polishing and protecting all parts of a vehicle from top to bottom, inside-out, using special tools, products and techniques that would not normally be used by your typical car cleaner. It does not however, include paintwork and body repairs although sometimes light cosmetic restorative work will be undertaken, for example stone chip touch ups and clear coat wet sanding, depending on the condition of the vehicle. 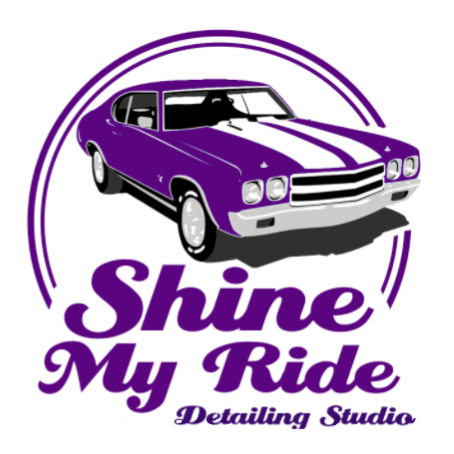 Car detailing helps to retain much of a vehicle’s original value and it can also ‘add’ a considerable amount to the value of older or abused vehicles that have never seen that level of care. Yes! It can actually ‘Increase’ your car’s value by giving it the required treatment. One can safely say, "Each rupee spent on detailing, will increase the value of your vehicle by approx. four rupees." But is there any difference between a car wash and Car Detailing? Most car owners don’t realize that a “Car Wash” and “Car Detailing” mean two vastly different things, and this affects their attitude towards proper car care. Some car owners are skeptical to seek professional help because they think that detailing prices are too expensive and unreasonable. Why spend more than Rs. 5000/- for a wash at a specialist when you can do the job in your neighborhood itself for under Rs.1000/-? The truth is, washing or vacuuming your car at a car wash Centre won’t add any value or Life to the vehicle. Your car needs more than just regular appointments with buckets of water and soap to stay in top condition in the long run. Plus, your vehicle is a great asset that you have to consistently maintain, or its resale value will be next to nothing after a few years of ignorance! Detailing your car means checking every nook and corner to get rid of any accumulated dirt, grease, dust, soil particles, and all the other bad stuff that can eventually eat away the metal parts or simply mar the natural beauty of your vehicle. Is detailing required for a new car or is it only for older cars? A new car, is not really "new" when you get it delivered from the showroom. It was new when it was built in the factory. But after that, it was loaded in the transport truck to be taken to the vehicle yard, where it was may be lying there for a couple of months. From the yard it went to your dealer's workshop, where he washed it & did his own "touch-up" (to create a few good swirl marks) and sent it to the Showroom. At the showroom also, before delivery, your ride was probably washed or cleaned with a regular cloth creating more swirls, eventually killing the original Shine! But I didn't find anything wrong when I first took the delivery of my car. What difference will a detailing session really make? There are a few defects that only a trained eye can see & frankly speaking these are not really 'mandatory' to be addressed. But is your vehicle protected against the daily grind? Especially in our Indian conditions, all our vehicles are subject to a lot of dirt & dust on the roads. Also, during the monsoons, the muck from the vehicle in the front has nowhere to go, but on your car! Just like we use a SPF 50 or SPF100 sunscreen or wear a raincoat in the rains, your car needs all that protection as well. A ceramic coating or a basic paint protection program will ensure there is some barrier against these harmful conditions. What is ceramic coating? How effective is it? Ceramic coating is the latest technology in paint protection of vehicles. It creates a thin layer of protective film on the entire surface of the vehicle. It protects the paint from UV rays ensuring there is no fading of the original paint work. Also, ceramic coatings are hydrophobic. So any kind of water or water-like elements will not stay on the car. Yes, It will just flow away. Ceramic coatings also protect the paint from bird poop, bug stains & light scratches. The acidic effects of any such external elements will not have any harmful effect on your vehicle's paint. So is ceramic coating a permanent coating? No. No coating is permanent. You will find many fake claims in the market today stating 3-5 years protection with a single treatment. Please do not fall prey to such tall claims. The coating will only stay on your vehicle, if you plan to keep it in a Museum for the next 5 years! If you drive it on the roads, it is surely going to get thinner & thinner. Any coating, with proper care & maintenance will stay on your vehicle for a period of 12 to 18 months. Given the harsh Indian climatic & road conditions, the coatings will take a lot of beating & will eventually be required to be re-applied. Will ceramic coating make my vehicle scratch & fire proof? NO! Ceramic coating is 2-4 microns thick. For your reference, human hair is approx. 75 microns thick! A ceramic coating only ensures that no external particle or liquid comes in direct contact with the paint. It protects the paint from the harmful acidic effects of elements like bird droppings, bug stains, acid rain, hard water, etc. However, if you physically try to scratch the paint, it will get scratched. Ceramic coatings are really amazing when used for the right purpose. Your vehicle will be protected against swirls & minor scratches, but if you brush a BEST bus, the ceramic coat along with the paint will come off like a peel of banana. There are many people showing you how a coating will make your vehicle fire proof. Frankly speaking, there is no point in doing this. How many times have you faced a fire spitting dragon attack? None? Then you don't need a fire proof coating! These are all marketing gimmicks & we should not fall into such traps. For any other queries minor or major, please call us or email us today!